£3495 pp, £375 single supplement. 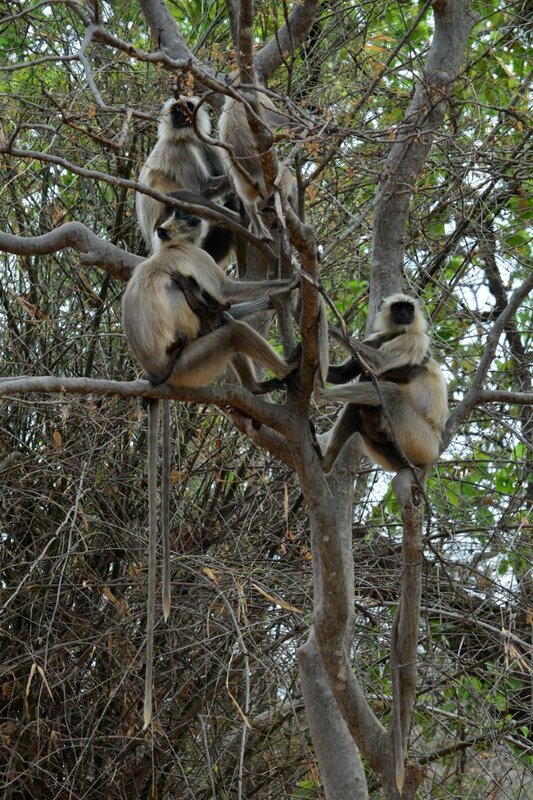 This holiday is an enjoyable combination of mammal watching, birding and sightseeing - classic India! We pass through bustling cities, pastoral landscapes and vast protected forests during a splendid exploration of the wildlife and culture of northern India, as we visit the world famous wetlands of Bharatpur, the iconic Taj Mahal, and look for Tiger at perhaps India's finest reserve. This holiday is ideal for the birder who wants an introduction to India, for those who want to see Tigers, and for those who want to experience the country's rich social and architectural heritage. In 2020 we have moved this holiday to the early spring, a very good time for Tiger sightings, and good for birding as spring migration gets underway. Please note! Safari space at the best reserves is limited, and at Bandhavgarh, where chances of Tiger sightings are very good, we must book well in advance. Early booking also helps us to obtain exclusive use of jeeps, which is very important. PLEASE BOOK EARLY, we would like to confirm all services in spring 2019. 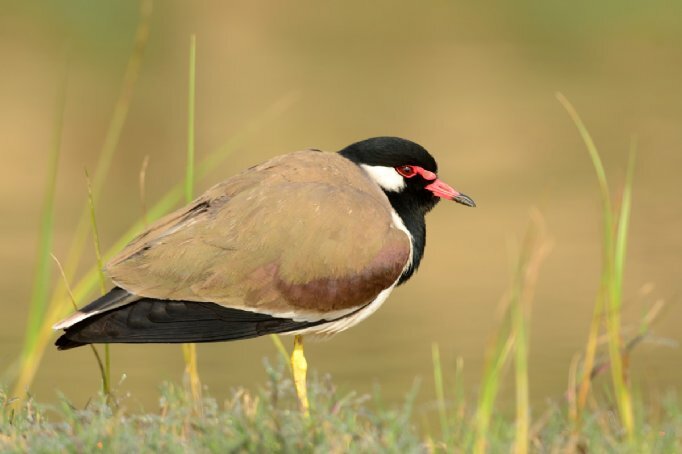 We begin at two of the best birding sites in the north Indian Plains, Bharatpur, India’s most famous bird sanctuary, and the Chambal River, one of the country's healthiest river environments. Birding at Bharatpur will be varied and exciting, with a superb selection of wetland birds on man-made lakes and marshes, including Sarus Crane, Black-necked and Painted Stork, Indian Spot-billed and Comb Duck and Black Bittern, with Indian Scops-owl, Orange-headed Thrush and Siberian Rubythroat in a mosaic of habitats surrounding the wetlands. Despite the impressive number of species we expect here, this will be a relaxed day, using the services of the park's unique cycle rickshaws to get around. We move on from here to the Chambal River, a serene stretch of water that feeds India’s agricultural heartland. We explore theriver and its sandbanks by boat, looking for Indian Skimmer, as well as the curious Gharial and Ganges River Dolphin. Our time in this region includes a glimpse of India's rich Mughal history and archaeological heritage, at the magnificent Taj Mahal and Red Fort in Agra, before we drive back to Delhi to prepare for the second leg of our journey, which takes us into the heart of India’s Tiger country. We take an internal flight in both directions between Delhi and Jabalpur, avoiding a long road journey, to visit perhaps the most reliable reserve for Tiger sightings in India, Bandhavgarh National Park. Here a total of six game drives in jeeps for our exclusive use will provide excellent chances of some truly memorable Tiger encounters. Safari space at the best reserves is limited, and at Bandhavgarh, where chances of Tiger sightings are very good, we need to book well in advance in this most popular of Parks. Early booking also helps us to obtain exclusive use of jeeps, very important to ensure we have flexibility during our game drives. March is a very good time for Tiger sightings and is the most popular time for visiting central India; higher temperatures mean a drier landscape with less dense undergrowth and improved visibility, and with mammals concentrating more around water sources. As we drive through the jungle and grasslands we will encounter a whole host of other mammals, which might include Leopard, Jackal, Jungle Cat, Grey Langur, Rhesus Macaque, Spotted Deer, Sambar, Barking Deer, Wild Boar, and if we are lucky perhaps Sloth Bear or a pack of the secretive Dhole (Indian Wild Dog). 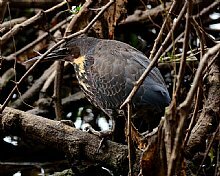 More than 250 bird species are known from the reserve, and Lesser Adjutant, Stork-billed Kingfisher, Emerald Dove, Brown Fish Owl, Mottled Wood Owl, Grey-headed Fish Eagle, Malabar Pied Hornbill, Shahin Falcon, Orange-headed Thrush and Tickell's Blue Flycatcher may be seen. We use good accommodation, comfortable transport in what can be an uncomfortable country, the services of a professional India-based ground agent and an experienced Heatherlea guide accompanied by a knowledgeable local naturalist throughout. We include two internal flights between Jabalpur and Delhi, which maximises time available in the field. Once you arrive in India, you will be aware of how much all these things add to the experience! This itinerary is ideal for the enthusiast who wants to see Tigers as top priority whilst enjoying excellent birding and key elements of India’s rich heritage. A few good things to consider! 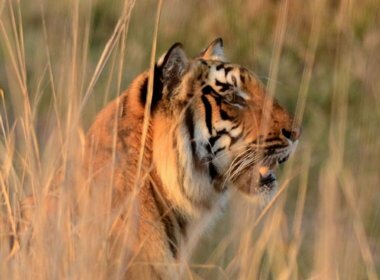 * six game drives at Bandhavgarh, probably the best reserve for Tiger in India. * jeeps for our exclusive use at Bandhavgarh. 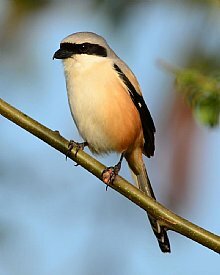 * excellent birding at Bharatpur and Chambal, two of India's best birding sites. * visits to the Taj Mahal and Red Fort at Agra for a glimpse into India's rich mughal history. * two internal flights to save on road travel times. * expert UK-based Guide Dave Pullan and a knowledgeable local naturalist will be with you throughout. Dave is particularly adept at negotiating with drivers and guides inside reserves - your Tiger experience may directly benefit! * pre-flight service saves you time and money, and includes an airport hotel, comfortable airport lounge and bird guide. * main tips to hotels are included. Birds, Tigers & Taj - some essential background info! Over the past 100 years Tigers, which once spread from Turkey through Asia to Russia’s eastern seaboard, have lost 93% of their historic range to become one of the world’s most endangered species with a population that has dwindled from over 100000 at the start of the 20th century to below 4000 today. The density of Tigers in a given area displays a direct correlation to the density of their prey. They require large contiguous areas of habitat which, when coupled with some of the more densely populated places on earth, has caused significant conflict with humans and threat to the Tiger's survival. The enormous demand for Tiger parts has been the driving force behind ongoing poaching, pushing Tigers closer towards the brink. The six remaining subspecies of Tiger are classified as endangered by the IUCN, and global population estimates place the number of wild Tigers between 3062 and 3948 individuals, the imprecise estimation reflecting their cryptic, wide-ranging nature. With most remaining populations occurring in isolated pockets, there is grave concern for their future. India is home to more than half of the world’s remaining Tigers, its population comprising the subspecies Panthera tigris tigris or Bengal Tiger, whose range extends into Nepal, Bhutan and Bangladesh. A major conservation programme, Project Tiger, initiated in 1973 by then Prime Minister Indira Gandhi, was instrumental in establishing a network of well-monitored reserves with human development categorically forbidden. In 2008 the census declared just 1411 wild Tigers. This prompted a renewed interest in the Project Tiger initiative, with new Tiger reserves declared and funds allocated. The most recent census, published in 2011, estimates a total of 1706 adult Tigers in India. 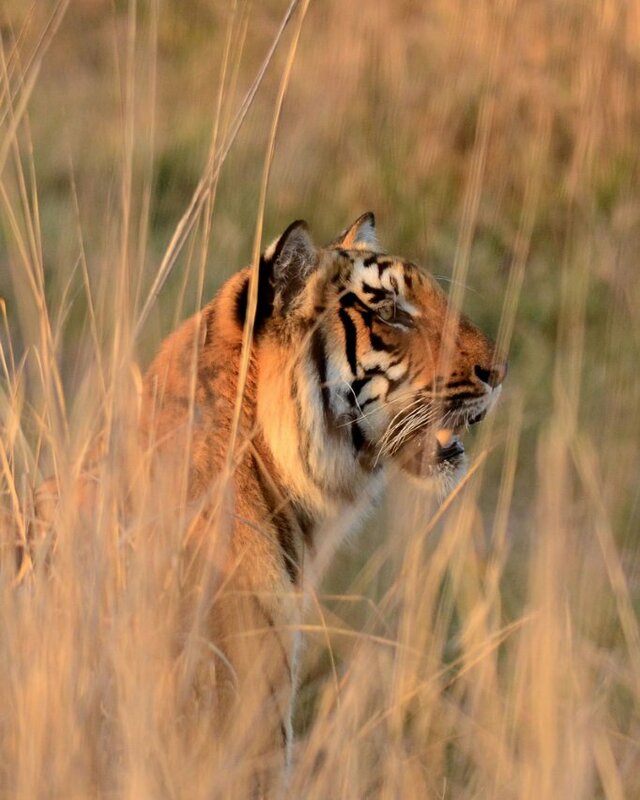 Only 11% of original Tiger habitat remains, with a decline in Tiger occupied area from 93600 sq km to 72800 sq km. These reductions are occurring outside protected areas, isolating the populations within, and this alarming decrease highlights the need for conservation of corridor habitats for long term viability. Of India’s Tigers, about 450 live in 17 centres of population at the heart of India. Half of India’s forests and several important rivers are here. The region has long been associated with Tigers, hosting hunting parties of Maharajas and colonial rulers, and providing the inspiration for Rudyard Kipling’s ‘Jungle Book’ with its fables of Shere Khan. Today the states of Madhya Pradesh and northern Maharashtra are home to a cluster of India’s finest Tiger reserves, comprising the Bengal Tiger's best chance for survival. After relaxing in our complimentary airport lounge we depart London Heathrow for Delhi, late in the evening. On arrival at Delhi on Tuesday morning we transfer by road to Bharatpur (five hours). 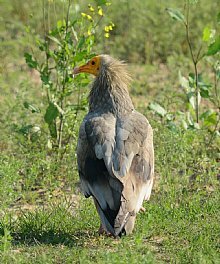 Depending on our arrival time we may enjoy some birding along the drive, or on arrival at Bharatpur, with a full day to explore the sanctuary on Wednesday. 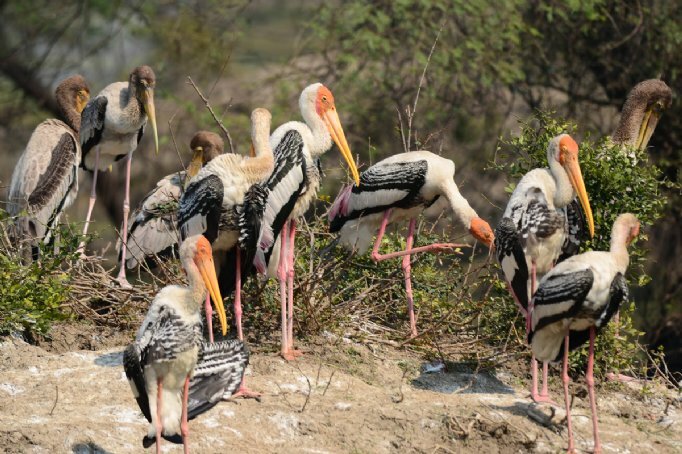 Bharatpur, or officially Keoladeo-Ghana National Park, is India’s most famous bird sanctuary, with international recognition as a UNESCO world heritage and RAMSAR site. These vast man-made wetlands were originally created for waterfowl shooting, but today provide refuge to vast numbers of birds; over 100 species can be seen here in a day, waterbirds in the flooded meadows and fields complemented by an exciting selection of other species in surrounding grassland, woodland and acacia scrub. Over 400 resident and migratory species have been recorded here, and we hope to see Sarus Crane, Black-necked and Painted Storks, Bar-headed Goose, Indian Spot-billed and Comb Ducks, Eurasian Spoonbill, Black-headed and Glossy Ibis, Greater Painted-snipe, Black Bittern, White-tailed Lapwing, Large-tailed and Grey Nightjar, Indian Scops-owl, Dusky Eagle-owl, Orange-headed Thrush, Brahminy Starling, Orphean Warbler, and Siberian Rubythroat, with numerous birds of prey, including Steppe, Short-toed and Imperial Eagles, attracted to the influx of waterfowl. Overnight Bharatpur (two nights). After some early morning birding in the agricultural areas surrounding the sanctuary, looking for any species we might have missed inside the reserve, we transfer to Agra (two hours). Once alternating with Delhi as the capital of the Mughal Empire, Agra’s now sprawling metropolis is scattered with magnificent architectural monuments to this rich period of India's history. Arguably the most beautiful building in the world, the Taj Mahal was constructed between 1632 and 1653 by the grieving Emperor Shah Jehan for his beloved wife Mumtaz Mahal. This spectacular mausoleum, with its marble walls exquisitely inlaid with flowers of lapis, cornelian, agate, jade and verses of the Koran, is one of the wonders of the world. Agra's Red Fort is a vast complex of marble palaces, mosques and administrative buildings enclosed within massive walls of red sandstone, was the residence of the Mughal Dynasty, and offers a fascinating insight into their daily lives, as well as views of the Taj Mahal from its upper balconies. The Taj gardens are a good place for common north Indian birds and excellent for Small Mongoose, and are a good vantage point for birding on the Yamuna River, which can be surprisingly good with Temminck’s and Little Stint, sandpipers including Marsh, Avocet, Black-winged Stilt, and Ruddy Shelduck. Late afternoon we will continue on to Jarar village in the Chambal River region (two hours). Our lodge here is a sympathetically refurbished cattle fairground, whose restaurant in the old stables serves wonderful organic home-style north Indian dishes. Overnight Jarar for one night. The Chambal is a perennial tributary of the Yamuna, providing water security to a vast area of irrigated agricultural plains. This is one of north India’s least polluted waterways, home to a rich fauna that includes Marsh Crocodile, the majority population of distinctive Gharial, and Ganges River Dolphin. This is also one of the most reliable places to see the patchily distributed Indian Skimmer, and endangered Black-bellied Tern. We take a leisurely morning boat safari on the river, hoping to see all these plus a wider selection of birds along the shore such as Egyptian Vulture, Brown Crake, Great Thick-knee, River Lapwing, Indian Black Ibis and Sand Lark. As we make our way to and from the river we will pass through the unique mud ravines that flank its course, where we hope to find Common and Yellow-eyed Babblers, Desert Wheater and Crested Bunting in the sparse thorn scrub. Away from the river, we will explore the sprawling grounds of our lodge, where patches of thorn forest provide an important refuge for birds and mammals in the vast expanses of cultivated lands that surrounds them. Common residents here include Coppersmith Barbet, Jungle Babbler, Rufous Treepie, Indian Grey Hornbill, Spotted Owlet and Brown Hawk-owl, and we also have a chance of Indian Hare, Common Palm Civet and Jungle Cat in surrounding fields. We will also find a roosting colony of Indian Flying Fox in the trees. We leave Chambal after lunch on Friday, driving back to Delhi (six hours) for an overnight stay. This allows us to take a flight to Jabalpur on Saturday morning, an important consideration which avoids a long road journey and/or the alternative of an overnight train. We then drive to Bandhavgarh (three hours) through central India’s fascinating rural landscape. Overnight Bandhavgarh for four nights. Set amid rocky hills in the north-central state of Madhya Pradesh, Bandhavgarh National Park is simply THE place for Tigers, hosting the highest density anywhere in India and the most reliable place in all India (and thereby in the world) to regularly experience close encounters. Bandhavgarh is an atmospheric reserve, dominated by the ruins of Bandhavgarh Fort which lies on a rocky outcrop overlooking the swathes of jungle. We spend three nights here, exploring the park’s wooded hills, bamboo thickets and valley floor grasslands on two exciting game drives per day, the first at dawn and then again late afternoon. We do everything possible to get the best tiger sightings possible during our stay here, planning our visits to different areas of the reserve and using committed drivers and guides who are familiar with the Tigers’ regular habits and with tracking and monitoring their movements. Tigers can be quite lazy, and often lie down to rest for hours at a time, regularly giving unforgettable views of this most powerful and awe-inspiring cat. Six game drives give us every chance of the full Tiger experience, leaving the hot midday period for relaxing and some gentle birding in the grounds of our lodge. About 250 bird species are known from this area, and Brown Fish Owl, Grey-headed Fish Eagle, Malabar Pied Hornbill, Shahin Falcon, Mottled Wood Owl, Orange-headed Thrush and beautiful Tickell's Blue Flycatcher feature among the park's many bird species. A wide selection of other large mammals find a home here, and as we drive through the jungle and grasslands we may also see Leopard, Indian Wolf, Dhole (Indian Wild Dog), Jackal, Striped Hyena, Jungle Cat, deer including Sambar, Chital and Indian Muntjac, Wild Boar, Nilgai and Chinkara, together with some smaller mammals, amphibians and reptiles. After breakfast we depart for Jabalpur (three hours), then transfer by air to Delhi. Again, this is an important part of our itinerary, as we avoid long road journeys by including this flight. We will take a packed lunch from Bandhavgarh, stopping along the drive to eat and for some final roadside birding before we reach the airport. We arrive in Delhi in time for dinner and a relaxing overnight stay. Morning transfer to airport to connect with our flight back to London Heathrow. Key places of this holiday - some essential background info! 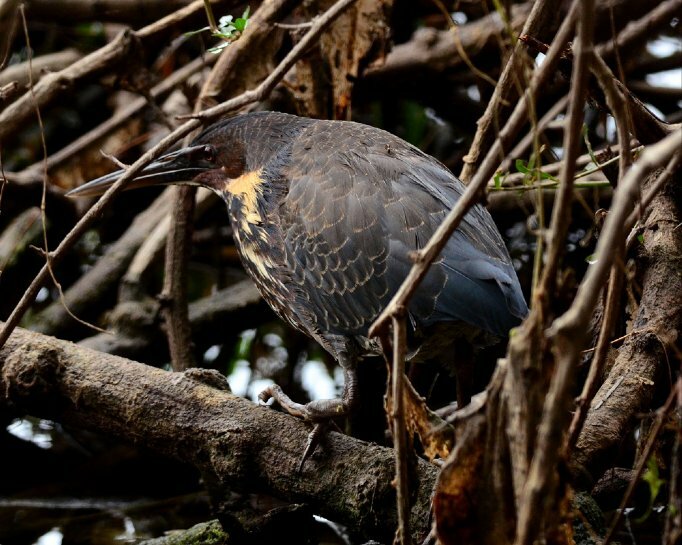 Universally known as Bharatpur, which is in fact the name of the nearest town, Keoladeo-Ghana National Park is undoubtedly India's most famous bird sanctuary. 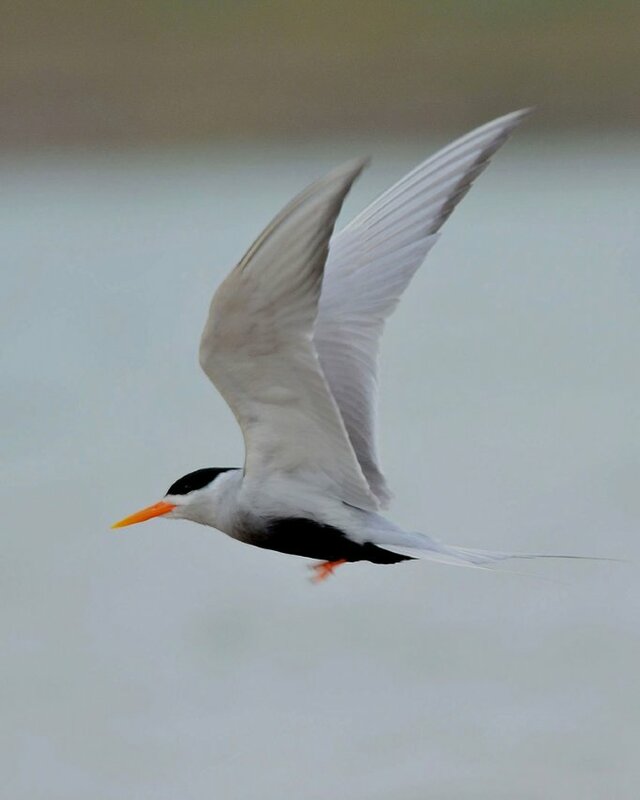 It is classified as a UNESCO World Heritage and RAMSAR site in recognition of the importance of its 29 sq km of man-made wetlands to over 400 species of resident and over-wintering birds. 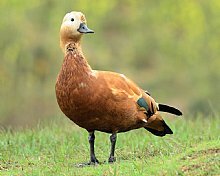 Ironically, the flooded meadows of Bharatpur were originally created and maintained as a series of shallow lakes and freshwater marshes for duck-shooting by the Maharajas of Bharatpur, yet since its declaration as a bird sanctuary in 1956 Bharatpur has provided an irreplaceable refuge for vast numbers of water birds. After a number of years of drought left Bharatpur heavily dependent on the strength of the annual monsoon rains to support its wetlands into the dry season, recent completion of a pipeline to divert water from the Chambal River has breathed new life into the sanctuary, particularly enhancing its population of breeding residents. It is possible to see an impressive number of species in a day or two spent here, even though overall densities can appear low in contrast to the bag counts of over 4000 birds at its heyday as a shooting venue! In addition to the waterbirds many other birds can be found in the intricate mosaic of mature dry deciduous woodland, sandy acacia scrub, and vast open grasslands surrounding the wetlands, while various birds of prey are attracted to the influx of waterfowl. The Chambal is a perennial river, originating in central India and flowing northwards and eastwards through three states for over 900km until it eventually merges with the River Yamuna. The river is a lifeline to agriculture in the region, providing the water necessary for irrigation of the plains in India's agricultural heartland. According to ancient myths the river is said to be unholy, discouraging development along its shores where as a result no large settlements and relatively few temples were established. This has been the saving grace for the river, which remains one of north India's least polluted waterways to this day. The river is home to a distinct and richly diverse fauna, including Smooth-coated Otter, Marsh (Mugger) Crocodile , various freshwater turtles and terrapins, and Gangetic Dolphin, a species particularly sensitive to polluted waters whose presence here provides testimony to the health of the river environment. The National Chambal Sanctuary, encompassing a 400km stretch of the Chambal River downstream of the Kota barrage in Rajasthan, was created in 1979 when it was chosen as a release site for captive bred Gharials. The name of this distinctive fish-eating crocodile is derived from the Hindi word ghara or ‘pot’ which the bulbous nasal appendage found on all mature males resembles. 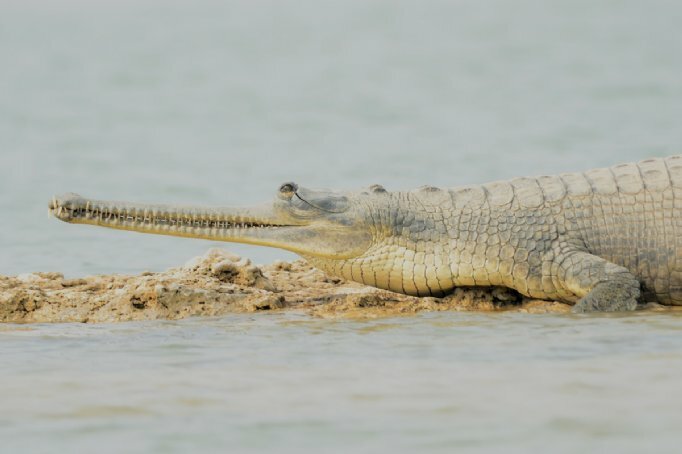 Decimated almost to the point of extinction by poaching and indiscriminate fishing, the Gharial now finds sanctuary along the Chambal, which hosts the majority of the 1500 or so Gharial estimated to exist in the wild in India today. Birding on the river by boat (boarded 27km from our lodge) is pleasant, facilitated by the lack of vegetation along the shore. For around half of its length the river is flanked by mud ravines, a unique geological feature that is re-formed with the soil erosion that accompanies each monsoon. The sparse vegetation within the ravines is predominantly tropical dry scrub forest, and a width of up to 6 km of this habitat on either side of the river is protected within the sanctuary. Bandhavgarh lies among the Vindhya Hills of Madhya Pradesh on gently undulating land with small hills separated by wide sloping valleys. The valleys contain long linear grasslands flanking the streams, which end in swampy meadows or ‘Bohera’. The vegetation is dominated by moist deciduous forest, primarily Sal, in the valleys and lower slopes gradually evolving into mixed deciduous forest on hills, where the soil in relatively poor, and in the hotter, drier areas of the park to the south and west. Dense bamboo thickets occur in places throughout the park. 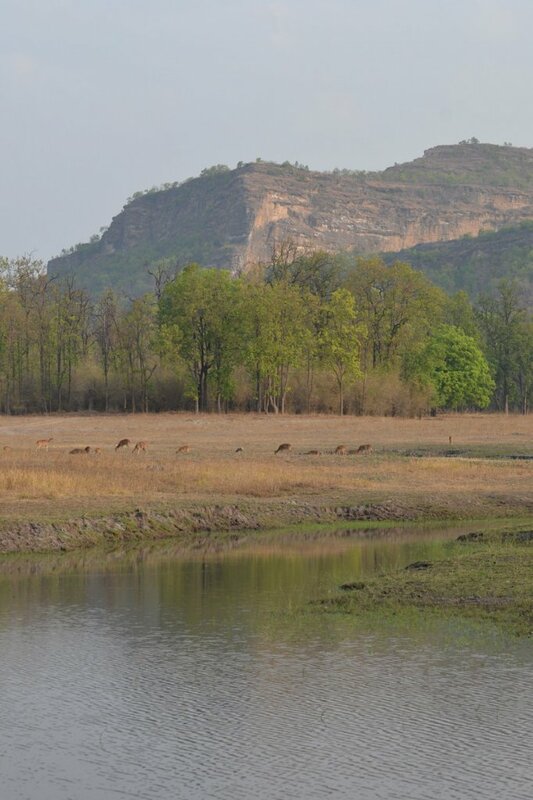 Bandhavgarh has been a centre of human settlement for over 2000 years, referenced in ancient texts. 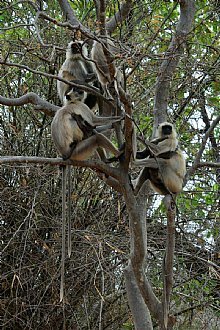 In Hindu mythology the two monkey architects who engineered a bridge between Sri Lanka and the mainland for Lord Rama are said to have built Bandhavgarh’s Fort which lies at an elevation of 811m on a natural outcrop dominating the park. Lord Rama is said to have given the fort to his brother, hence the name Bandhavgarh, or ‘brother’s fort’. The oldest evidence of human habitation within the park is a series of caves dug into the sandstone north of the fort, which contain inscriptions dating from the 1st century BC. Bandhavgarh was ruled by a succession of dynasties, including the Chandela Kings who built the famed temples of Khajuraho, until 1617 when the centre of court life moved to Rewa 120kms further north, leaving Bandhavgarh’s forests to rejuvenate. Bandhavgarh then became a ‘Shikargarh’ or royal game preserve for hunting parties involving the Maharaja, for whom it was considered a good omen to shoot tigers. Bandhavgarh was the site of capture of Mohan, the famed white Tiger, by Maharaja Martand Singh in 1951. Estimates show that one in 15000 Bengal Tiger births will result in presentation of the rare recessive gene and the birth of a white Tiger – Mohan was subsequently bred with naturally-coloured Tigers, eventually creating a second generation of white Tigers which have spread to zoos across the world. Bandhavgarh remained the private property of the Maharaja of Rewa on India’s independence until the 105 sq km were handed over to the state to constitute a national park in 1968 – poaching and cattle-grazing were brought under control and mammal numbers rose dramatically. With the advent of Project Tiger in 1972 and the resultant wave of conservation-minded thought, it was realised that this small area was not adequate to support a viable Tiger population, and three further ranges – Khitauli, Magdhi and Kallawah – were added to the original Tala range, increasing the area to 448 sq km. In 1993 Bandhavgarh was taken into Project Tiger, with the inner core area extended to 694 sq km by the addition of Panpatha Wildlife Sanctuary, and the demarcation of 437 sq km of buffer zone. Today, tourists are restricted to parts of Khitauli and Magdhi zones and the original Tala zone. The 2011 census estimated that 59 Tigers make this forest block their home. Some estimates suggest up to 22 Tigers are located in the core zone, which equates to one Tiger for every 4.8 sq km. Bandhavgarh is justifiably famed for its Tigers, however in contrast to Kanha and Pench, which are somewhat contiguous, Bandhavgarh is an isolated forest fragment which poses important considerations for its future viability. The park is home to a further 36 species of mammal, more than 250 species of bird and over 80 species of butterfly. Gaur (Indian Bison), have been re-introduced and can be found alongside Sambar, Chital (Spotted Deer), Barking Deer (Indian Muntjac), Wild Boar, Ruddy Mongoose, and Small Indian Civet, with the park’s drier areas also holding Nilgai, Chikara and Chousingha (Four-horned Antelope). Indian Wolf, Striped Hyena, Jungle Cat, Caracal, Honey Badger, Indian Porcupine and Indian Pangolin are among the less commonly sighted mammals. * return scheduled flight from London Heathrow– Delhi, two domestic flights between Delhi and Jabalpur, airport taxes, baggage and hand luggage up to airline included limit. * airport transfers, ground transportation, accommodation and meals as specified. * the services of Heatherlea leader Dave Pullan. FIELD GUIDE! 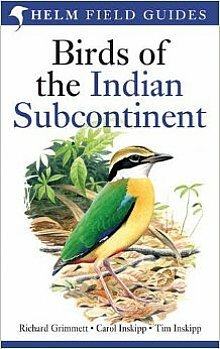 ‘Birds of the Indian Subcontinent’ by Richard Grimmett, Carol Inskipp and Tim Inskipp, Helm is included in your holiday price. * video camera fees, incidental tips to porters, naturalists, drivers and others. 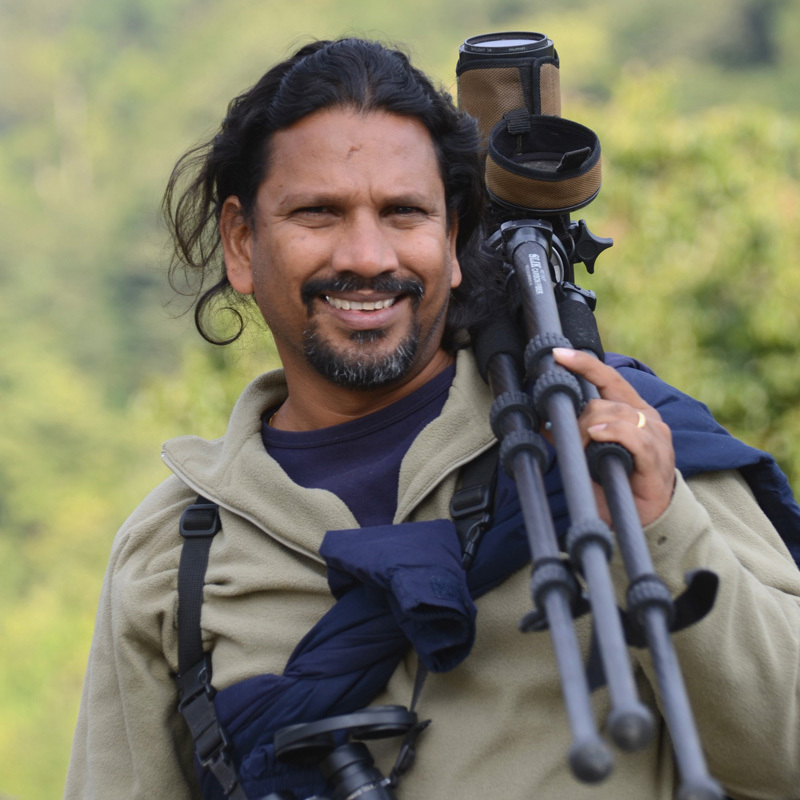 Leio De Souza is widely acknowledged as one of the best bird tour leaders in India, with many years experience of guiding here for Heatherlea. Leio's extensive knowledge of Indian birdlife, his infectious enthusiasm for the natural world and an easy rapport with our clients make him the ideal Leader. Dave Pullan is a very experienced Tour Leader, and has led this holiday in India many times for Heatherlea. Accommodation: We stay at comfortable hotels and lodges throughout. All rooms have private facilities. All meals are included (three meals per day). Food is often of 'international' style, though please let us know if you can't eat Indian food. Smoking is not allowed in restaurants and other public places. Walking: Easy throughout. With the exception of Bharatpur, almost all bird and mammal-watching away from the lodges is done by jeep/boat. At Bharatpur all birding will be on foot, though this will all be over level ground, mostly from the paved sanctuary road and well-worn trails, and we will have the use of cycle-rickshaws to take us from place to place. Weather: Typically fine and sunny, with temperatures in the region of 15 - 32C. Nights will be cool, perhaps below 10C, so bring warm clothing (jacket, hat, scarf) to wear especially during morning game drives, which are in open-topped jeeps. Rainfall is scarce outside of the monsoon season and showers are unlikely to be prolonged. Visa: United Kingdom citizens will need a passport valid for at least six months from date of departure and a tourist visa to enter India. Most visitors are able to apply for an e-Tourist Visa online. Flights: Scheduled return flights from London Heathrow direct to Delhi. One domestic flight within India (Jabalpur - Delhi) is included on the main itinerary. Ground Transport: By coach, and 4WD vehicles in the National Parks. 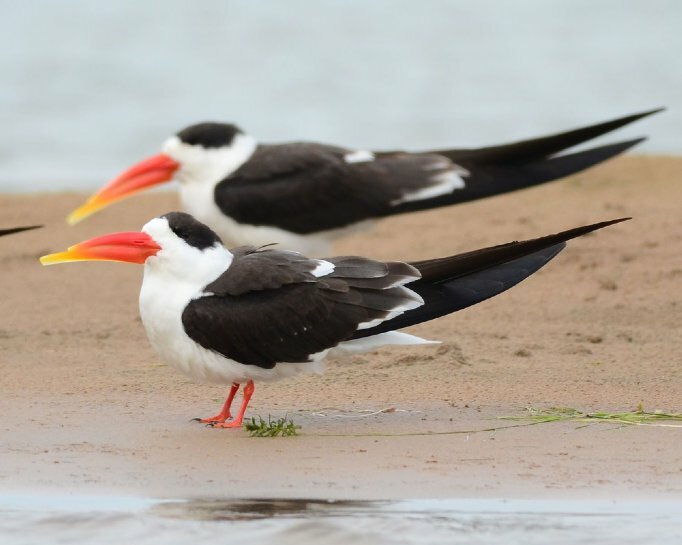 Photos: Excellent photographic opportunities for birds and mammals. 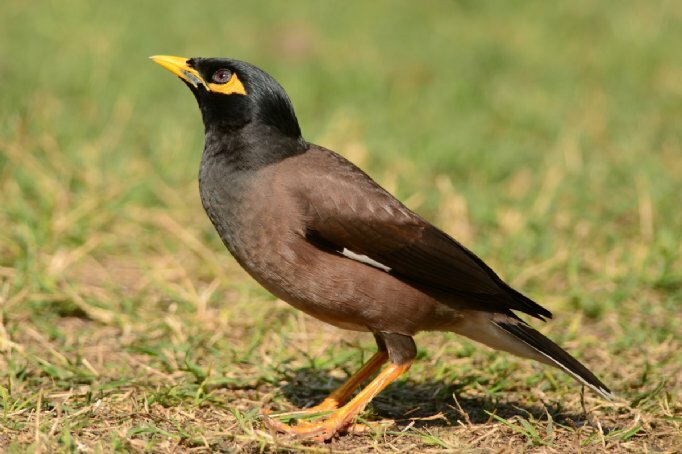 Also included: Entrance fees at national parks and monuments, sightseeing excursions as per itinerary, main hotel tips and airport taxes, bird and mammal checklist, and services of experienced Heatherlea Leader Dave Pullan and local naturalist guides and drivers.